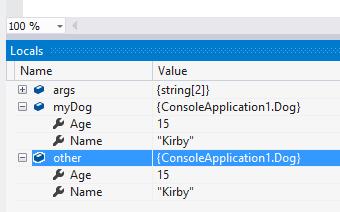 When you declare a field in a class and initialize the field when it is declared, the initialization of the field will happen when an instance of the class is created, but before the constructor is invoked. All fields are initialized before the constructor executes, in the order in which they are declared. 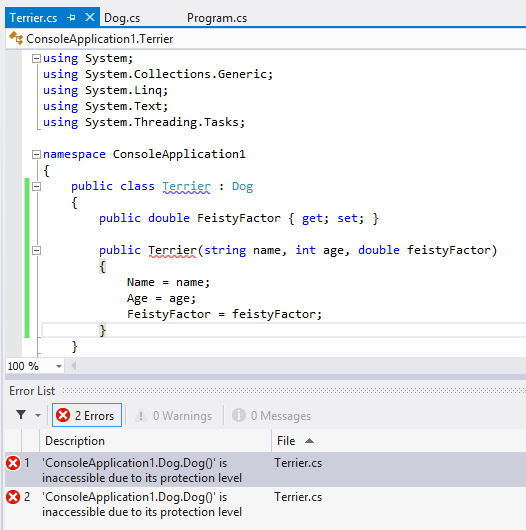 When we create an instance of a Dog, the Sound and Friend fields are initialized before the Dog constructor is invoked.